Pro Tip: "Surrender Fire Ant Killer with Acephate is a really good product for killing fire ants and any other mound dwelling ant. I like this 75% Acephate on the mound and then disturb the mound lightly with a stick so they will track it to the queen." Acephate 75 SP is an agricultural and fire ant insecticide. Surrender Fire Ant Killer with Acephate 75% is an agricultural and fire ant insecticide. Acephate 75 SP as a water soluble insecticide is absorbed in plant roots providing systemic control of feeding insects. Insect pests are generally better controlled by ingestion than by contact with Surrender Fire Ant Killer. Outside in non-crop areas such as fields, pastures, recreational turf, residential and landscaped turf, food-bearing plants, and trees. Drench Method: Mix 1 oz. in 5 gals. of water. Apply 1 gal. of mix to each mound area by sprinkling the mound until it is wet and treat a four (4) foot diameter circle around the mound. Surrender Fire Ant Killer with Acephate is a really good product for killing fire ants and any other mound dwelling ant. I like this 75% Acephate on the mound and then disturb the mound lightly with a stick so they will track it to the queen. May be sprinkled over mound (1-2 teaspoons per mound) or drenched, 1 oz per 5 gallons of water. For best results apply the material in the early morning or late afternoon when the ants are most active. Applications made under prolonged hot and dry conditions may be ineffective due to the location of the ants deep within the nest. Grass in treated area may be injured. This stuff works!i placed this stuff in a garden hose sprayer,filled it up with water,i treated around the house,sprayed in the woods,everywhere,i got good results,i would be ordering this stuff again! I had several mounds. Used 1 teaspoon spread evenly. Haven’t seen an ant for a week. One very important thing for buyers to know: there is a reason 30 some states don’t allow this to be shipped to them. Use a mask and gloves when handling the container and contents. The warning says the antidote for contact, specifically inhaling, is atropine. This stuff really works. I wasn’t sure it would as we had a surprise rain right after I put it down but it still did the job. I had tried numerous other products and surrender is the only one that worked. As with other reviews it sure does smell, maybe that’s why it works. The best fired ants destroyer I have ever found. Will purchase again and recommend to everyone I know. We have cows in our wooded area; the relentless Northwest FireAnts wouldn't allow the cows to rest in one place. With the application of Martin's Surrender Killer on the mounds of nearby hills, the ant population began to disappear! Within one season, the cows can select their shaded location to rest! I intend to continue the use of this product every spring and would highly recommend it to anyone with animals and fireant problems in Washington State! Martins Surrender ant bait works on argentine ants/sugar ants and fire ants for us. 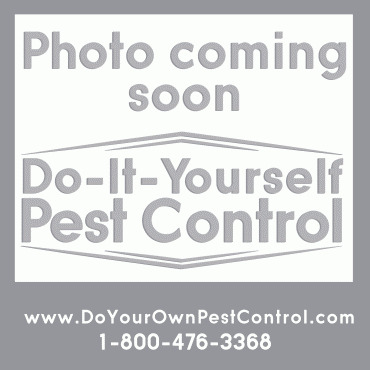 Ordering from DIY pest control is by far the easiest and fastest of all that I have tried online. This is the only product that I have ever used that eliminates ants. When this product is applied, the ants don't move but disappear. Works as advertised! Great stuff. Quick shipping too. I have used many different fire ant killer products. This is the best yet. It really works! The smell is pretty awful, so wear a mask! No matter the smell, it WORKS! I'm happy there is a product like Martin's. I live in Fl and the fire ants here are vicious. They crawl on you and before you're aware of them, on a signal, they start to bite at once. My dogs were suffering because one itch starts them all itching and you want to tear your skin off. They get full of pus and last for a long time. I walk my large yard every morning to find the ants and this product works very quickly. I cover the treated mounds with 'anything' so the dogs can't run into them. You don't need very much of this dust to kill the mound. The order usually arrives in a day or two and this is the cheapest place to find it. You do need the 75% though. Purchase for my mom and have purchased for several other people. This stuff kills roaches. This product works & it smells. This is the best fire ant poison I have found; it is much better than anything sold at Home Depot or Lowes. I highly recommend it. 100% effective on fire ants. I live in TN and everytime it rains my 3 acres have ant hills everywhere of all sizes. A spoonful sprinkled on each mound and 24 hours later there is no signs of live ants. There is no need to use a lot, I use a plastic spoon and sprinkle it on top. It does have a strong odor but it's worth it. Fire ants gone. Mission accomplished. This stuff is GREAT!!!!! I have fought ant for years with no success!!! I hate it when u have company over and people get bit. but I felt like I was doing all I could, but my brother told me about this and I tried it but wasn't really sure if there was anything that would really kill them. usually they just move some where else. But with this u actually see dead ants on top of the mound!!! Works GREAT!!!!! Works as advertised. Got rid of all the fire ant mounds in our backyard in one day. the container tightly in plastic and store outside. IT KILLS ANYTHING NOT JUST ANTS. Best product I have found so far to kill fire ants. Will buy again. This is an excellent product for getting rid of fire ants. I was skeptical but will definitely purchase again. So far it has decreased the hills in my yard but still have a ways to go to completely getting rid of them. It smells bad, but it works. This product is incredible. It works very quickly. I just hope the ants don't develop an immunity to it. I also will put down the 'Extinguish plus fire ant bait'. It will work it's way underground and last for a long time...I hope. I'm very grateful to this site for their low prices and prompt service. Worked 4 me in just one day!! I absolutey hate any bug or insect. I am highly satisfied!! This is absolutely the best product I've found for killing fire ants. Very easy to use - just apply over the mound and you don't have to sprinkle with water. It does smell very bad, but I keep it in the storage shed in the container, in the box, closed. BUT the smell is worth the way it quickly gets rid of the little devils! I had a rental property with a major infestation , In one application we were back to clean up and painting. Awesome. I have been using this product for a few years. Best product I have found to kill fire ants. This stuff also works on killing roaches!!!! This Surrender is the best fite ant killer I have ever used. I had several fire ant mounds in my yard, a little of this product killed them all. The ant mounds just fell to dust once the fire ants died.Only took one application and within two days boom they were all dead! Absolutely love this product ! Great product. Ants die, don't move around. Few sprinkles and gone next day, Punctured top in few spots and made sprinkling on mound easy. Powder around the mound one day, killed by the next! And they don't move! Finally, an ant killer that works! We have 1.3 acres in east central Florida; we battle fire ants 24/7. My other half was skeptical when I bought this product but after one use he is a believer. This will save us a lot of trips to home improvement stores, and a lot of just moving ants from one spot to 5 feet away. I was so happy to find surrender again. As usual it worked great. The only thing I have ever found to rid our place of fire ants. This stuff is unbelievable. My son has a pretty large piece of property in Ormond beach, fl where there is a constant red aunt problem. So far where ever I have put it down it has cleared out the aunts and not for them just to move and make another mound. It wipes them out. This is a very good product and I would recommend to anyone. I have tried everything and anything in the past and nothing worked except this product. If you want to rid your property of these pests buy this stuff. It also goes along way as you do not have to use large amounts to do the job. Great product that gets the job done but the smell will kill you. We have 14 acres in S. Carolina & this stuff works the best of anything we have tried in the past. Mail person was upset over the "odor" in the box, had it wrapped with two plastic bags. First time I ever got my mail early, before the end of day. A little of this stuff goes a long way, but we still needed 3 cans. Usually in 2 days ants are gone, but the little buggers are resilient & still pop up here & there but no where near the amount before. What was once dozens of mounds are now just a few & we will continue the battle until there are none. Wishful thinking but not giving in to them. had so many fireant hills that I ordered two more cans. Wish they would make a large size!! have not had to put out anymore of the product yet but when I have to.... they will be gone. We have 12 acres here in North Carolina and those dirty little fire ants have made it nearly impossible for my grandson and I to find 100 square feet of ground to pitch our tents before the summer ends for a "campout." I ordered three bottles a week ago here, and the ground is littered with dead ants and crumbling holes/piles. I came back tonight to get my fall eradication supply because my local hardware store refuses to stock this stuff due to the stench that escapes from the sealed can. It works, period, and it's hard to find. Store the can outside and order here instead of getting sick as you drive from the store (your postman can ask for hazard pay). My order came way too fast for free shipping, it was packed well, and processing my request was seamless. I'm not even looking for it locally any more. I like supporting local businesses, but when I do it this way I don't have to hear the "stench" comments. Been looking for something this good for a long time;we have ants very bad in the summer time;and this stuff really works and a good price. Very good for ants and other pests. Strong oder! Acephate is an organo-phosphate with a sulfer atom. Used frequently for aphids but great for ants. As always service is super fast and price is low in comparison to other website. This is some very good stuff for all types of bugs. DIY Response: We agree that this is a good insecticide and we're glad it worked for you, but it is only labeled for outdoor use against ants. have used this product many times and it has always works. just follow the directions and presto no fire ants. Like it. Fire ants did surrender. I did use the fire ant killer and found it to be productive. Like it I would order this product again. Just a little does a great job. Watch out for the smell that is a killer by it self.